Essential healing is not a therapy but a way of life. Gaia (Michael Zipf) is not medically trained and he insists people with health concerns consult the qualified therapist of their choice. A session with essential healing can lead to a special deep relaxation, its effect can be a healing reorganisation of the nervous system and the subconsciousness. Unconscious patterns that may have stopped you to be physically or mentally healthy, can be recognized effortlessly and disappear. If you would like a private meeting, you can call us or write an email to: Gaia. 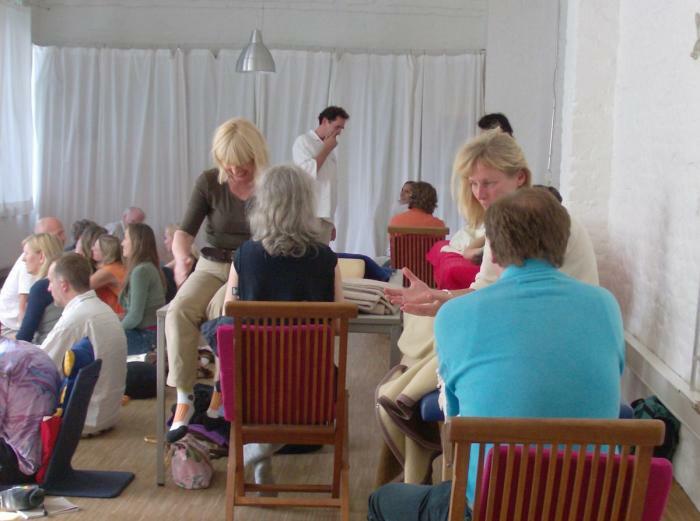 During a weekend workshop you can learn the method of essential healing. You can use this application for yourself and for other people. Or you can just join in to enjoy the effect of essential healing. You don't need to have any special previous knowledge to learn essential healing. Next workshop/ seminar in English language will be in Bucharest November 25th until 26th 2017. If you would like further information about when there will be more workshops, please write an email to Gaia. She was at one of the workshops and wrote a report about the workshop Essential Healing.